PatioMaster, is the UK’s leading manufacturer of custom built patio doors. The company prides itself in giving its customers an unprecedented level of choice that combines industry standard security features with an elegance of design. With all PatioMaster door profiles being made from PVC-U, the company ensures that the final product gives superb insulation, and provides the end user with a door that is both thermally efficient and cost effective. Available with a choice of chamfered or sculptured profiling and a range of 19 different colours and finishes including antique oak, rosewood and mahogany, the patio doors are infinitely customisable. With a streamlined 86mm outer frame PatioMaster doors fit beautifully into any room with a minimum of plaster cutback. Low line gaskets and concealed fixings further enhance the smoothness and overall ascetic feeling to any property. With home security always a major factor, all PatioMaster high specification patio doors come as standard. All have multiple locking points, built in anti-jacking system, reinforced profile and high performance hardware. PatioMaster has also attained BES 6001; and OHSAS certification and all products come with a 10 year product guarantee against wear and tear. Service is at the heart of all PatioMaster does, with a network of eleven fabricators it can offer a ‘local’ service to national standards, manufacturing in-line sliding patio doors for installation into homes and commercial premises. Doors are available in just five working days across the UK and Ireland. A recent planned investment in people is a testament to its ongoing commitment to its customers and the industry. As Chris Jones, National Sales Manager for PatioMaster explained: “Following a general incline in orders, we felt it was time to take advantage of increased demand by reinvesting into the training of new personnel. 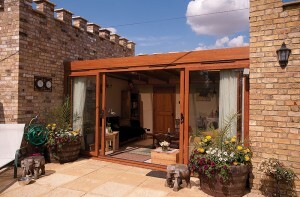 For more information, please visit the Patiomaster website at www.patiomaster.co.uk or call 0808 178 3370.